Two reports separate reports have hit the blogwaves today that both point to production (either underway or soonish) of the CDMA iPhone in China. The first report is by DigiTimes, which says that Taiwanese company Pegatron is projecting it will ship 10 million CDMA iPhones in 2011, citing “sources from component makers”. 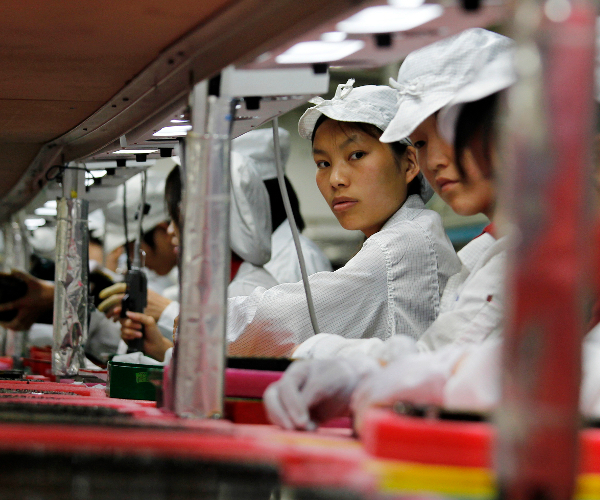 Those sources say that Pegatron is hiring 10,000 new workers for its Shanghai factory, as well as installing new equipment. DigiTimes says that Pegatron CEO Jason Chang, “declined to discuss its clients, but pointed out that the increase in employees is mainly to handle growing smartphone business and he expects revenues in the first quarter of 2011 to see a strong increase.” The report also says that CDMA iPhone 4 units could start shipping as soon as December 2010. Apple will launch the phone in early 2011 in cooperation with a couple of telecom companies as Verizon and China Telecom, in a bid to further boost its smartphone market share through exploring the CDMA segment. If projected shipments in 2011 will be 10 million, 15 million or 25 million total (from the tone of the reports, we’re guessing that each company has its own projections of shipments, so that if both rumors are true and the projections are true, that should mean 25 million units in total). Read next: We’re Hiring: Tech Writer in Australia? We're hiring!